Showing results for tags 'cc1'. A fully comprehensive MSCC skin for CC2, not a single sprite or tile has not been looked over. Several of the tiles in here however are taken from other sets, the numbers are a few too many to count but basically if you made an MSCC styled CC2 sprite its probably in here. Everything in this sheet has been reduced to the original 16 colours of the base game and all CC2 sprites have been adjusted to better fit the MSCC style. Feel free to edit parts of this and use the tiles in your own set, I would be honoured if you did. Issues: some tiles aren't exactly perfect, such as the foil which I couldn't get exactly right but is still somewhat MSCC, and the dirt patch tile which doesn't match its original MSCC appearance as I didn't want to give people who use smooth scrolling a seizure, logic gates remain unchanged other than colours as modifying those would A. throw people off and B. they already look fine. Enjoy the Set! 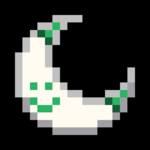 Credits: scutilla: for the original CC2 MS tileset that was improved heavily upon Sickly Silver Moon: for most of the original overhaul work Ryan J.: changes to many many tiles throughout iterations, solely responsible for the new ghost, pink custom tiles, and stay up + push down walls The Chip's Challenge Discord Server Members: for their continued support, ideas, and suggestions for improvement (Notably: Indy, IHNN, Chipster, Tyler, Naemuti, Flareon350, Cowman_133, Vehudur / Lessinath, and plenty others who chipped in to help and improve) Ed Halley: for creating the original Microsoft tileset used in the Microsoft WEP release, without that this project wouldn't exist And finally: You: for taking the time to download and use this tileset, or even just consider looking at it. Without you this project would be pointless, thank you. This is my first level set. It's not finished yet, but it contains 20 levels for you to save (or ruin, depends on how much fun you'll have with this) the day. Only tested in MS at the moment and you still might encounter busts and other things that can be done way better, so tell me your opinion! If you wanna know, why I chose this unusual title for this set, just look at my profile pic. Which Chip's Challenge game of the Chip's Challenge saga do you play the most? Now that Chip's Challenge 2 has been out for some time, I was wondering if there are users out there who have completely left Chip's Challenge since the release of the sequel, users that still play Chip's Challenge every once in a while, or users that still play the first Chip's Challenge most of the time. As for me, I knew about Steam before Chip's Challenge 2 came out, never had it though, and am in no rush to get it, but I might consider getting it so I can get my hands on CC2. So even though lately I haven't been chipping much at all, everytime I have, it was with CC1 (or Tile World). Sorry for being out (once again) too long... I don't really play CC1 or CC2 these days. And I was surprised that the newsgroup is finally gone. Anyway... I have had played CC1 on Lynx and MS (through TW and the latter through the original 16-bit version), and as a Steam game. What do you think which engine is the closest best to the original gameplay as intended? Thoughts, opinions and differences do count. This about the CC2 game engine compared to CC1. Not the levels or game elements. First of all, years ago; When I was first forced to start using tileworld [because MS chips challenge doesn’t work on 64 bit Operating systems] I used the MS rule set. That’s what I was used to and I liked it better. 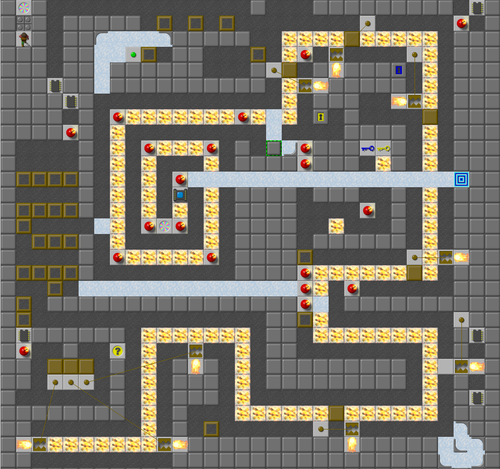 Lynx seemed very weird at first and I didn’t really like how a few amount of seemingly simple rule set changes really made for some major changes in level design. After a while however I got used to Lynx and grew to like it better. Now, I pretty much prefer it and I can’t really stand MS anymore. The main reasons; smooth animations not only look nicer, they make it much easier to play, to see where monsters are going and easier to follow chip around as well. Now whenever I play MS it feels so choppy and annoying. Secondly the glitches in MS are a pretty big hassle. Most notably slide delay and the controller/boss glitch. So it’s really nice to not have to deal with that. But now that CC2 has been released I must say that I like that so much better than either MS or tileworld’s Lynx. Not only because the game and the new features are awesome, but I like the game engine better. I feel like movements are slightly smoother and more fluid. It also feels like the hit-detection on enemies is friendlier than Lynx. So often when playing in tileworld I die while trying to step into a line of enemies or get caught by a monster when I wasn’t expecting it. I often misstep, either moving too far or not enough. If I’m really honest my playing experience with Tileworld’s lynx has been quite frustrating. Since I started playing CC2 I haven’t found any of these frustrations, at least not nearly to the degree of tileworld. The hit detection is very nice imo, the controls are slightly easier and feel better. I like the ability to reveal walls while passing by them, and the “splash delay” is minimal too. This was another nuisance in Lynx. * CC2 has its share of glitches too of course; some of which while I haven’t run into yet myself, I would image may be quite frustrating. But so far, nothing I’ve encountered has been as game-breaking as the MS glitches. Overall I really feel the improvements on CC2 far outweigh any negatives verses CC1. So for the most part I’ve stopped playing CC1, though I still play a level or two occasionally, I haven’t deleted the game forever or anything like that. But from now on it’s primarily CC2 for me. And any level sets I make will be for CC2. What other people’s thoughts on this? *this is a side point but that splash delay is weird imo. I recently saw a video of the Amiga version of chips challenge [which in graphical quality looks very similar to the Lynx] there is no splash delay at all! Contains levels of novice to moderate difficulty. Design ethic taken into consideration more than ever before. Facing the Future: What's Next for Official Sets? It's been several months since the release of CC2, and it seems like a lot of chipsters have generally enjoyed it, particularly the expanded selection of game elements and new level ideas to experiment with. One of the reactions to the game I've heard the most has been that the "stock" pack of levels is somewhat inconsistent in design quality. It's understandable - after all, the levels were made before many custom levels were even created for CC1 and level design evolved to what it is today. Personally, I enjoyed CC2 as a nostalgia trip back to the late '90s era of design when designers felt more free to experiment randomly, but I get that it may not be for everyone. Many designers have already begun creating their own levels and anticipating the creation of an official set for CC2, either as an alternative to the stock pack or as an outlet for their creativity. So, I thought we should probably at least start having some sort of conversation about what we'd like to see with respect to future official sets. There are several options we could pursue, each with its own pros and cons, and a number of salient points have been raised in favor of each option throughout the occasional discussions among chipsters on Skype about this topic. (For clarification's sake, I will be referring to the potential next official custom set for CC1 as "CCLP4" and the potential first official custom set for CC2 as "CC2LP1," though I hope we don't have to feel bound to use that name.) 1. Make CCLP4 for CC1, then make CC2LP1 a different set for CC2. This option is appealing for at least a couple of reasons: many designers have built CC1 levels in the hope of seeing them in CCLP4, and CC2 design hasn't quite brought about the same amount of activity or variety of design tools yet. With this approach, CC1 as we've known it can have one last hurrah before everyone fully moves on and makes the adjustment to building levels for CC2. It would also allow for some time for additional editing programs be built, not to mention a free Tile World-esque alternative to the official version of CC2 like CC1 had. The downside is that the focus would initially be placed on a game that isn't exactly "active" in the sense that CC2 is. 2. Make CCLP4 and CC2LP1 basically the same set, without the use of CC2 elements in CC2LP1. Arguably the biggest argument for getting an official custom set for CC2 built sooner than later is that unlike CC1, CC2 is not a "dead" game. It's available for purchase on Steam, and as such, we as a community are facing an opportunity to bring in new members and grow even further by maintaining the game's momentum through some evergreen content. The question is how. A few designers have already ported some of their CC1 levels to CC2. One could argue that anyone who wishes to see their compositions in a future set that badly could easily use Chuck Sommerville's conversion program to port their work over to CC2. Those who would still like to make CCLP4 a reality could get on board with this if the set is compatible across all of the games - but there are a few issues with this. Even though many of the CCLP4 submissions were compatible with both MS and Lynx rulesets, that's not a guarantee that they would work in CC2. 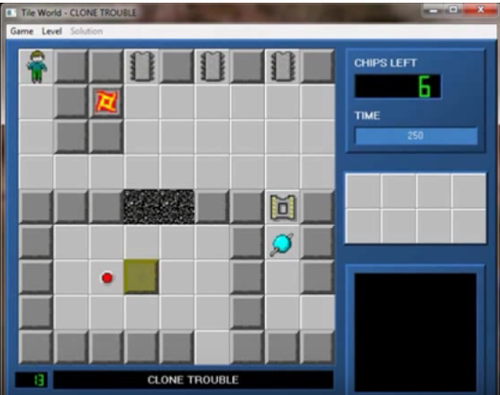 Tile World's Lynx emulation was more lenient about arbitrary clone and trap connections, whereas CC2 requires the reverse reading order connections used in CC's original, pedantic Lynx mode. 3. Make CCLP4 and CC2LP1 basically the same set, with the use of CC2 elements in CC2LP1. This option would allow designers to implement workarounds in situations like the aforementioned clone / trap connections (such as pink buttons and wires), as well as give them the freedom to build levels slightly differently if a mechanism would be better suited to CC2 game elements. Of course, there are two rather glaring issues with this option and Option 2. One is whether or not CC2LP1 would allow item dropping in levels, and I'd like to believe that either choice would be consistent throughout the set. Not doing so would prevent designers from placing non-CC1 collectible items (and would be rather sad for an initial CC2 official custom set), whereas doing so would break a number of levels that may be more difficult in CC1. The other problem is that anyone who has been introduced to the CC level designing world through CC2's release would have to build their levels for CC1 and get familiar with its mechanics, which would just be extra work. 4. Forget about CCLP4 and move on with CC2LP1 instead. This is the option I've been in favor of the most. It allows anyone who wanted their levels to be in CCLP4 the opportunity to submit them for consideration in CC2 instead, providing they're still active in the community. It gives them the freedom to build their levels in any way they want using whatever elements they want without having to worry about compatibility with another game and its ruleset(s) or multiple versions of their work. (This would especially be nice for optimization and scorekeeping as well.) Of course, it would mean that we wouldn't be making CCLP4 - but I don't think that's necessarily a bad thing when the submitted content could be made even better with the trappings of the new game. We'd be making a commitment to supporting CC2 and making sure that it has new material instead of clutching onto something that's arguably obsolete. What do you think? Which option sounds appealing to you? Do you have another suggestion not listed here? Feel free to sound off in this thread! This is the sequel to C1059-1. Contains 50 levels, entirely solvable in both Lynx and MS. See this thread for more details: http://cczone.invisionzone.com/index.php?/topic/1130-c1059-2-cc1/ Thanks to Cyberdog for playtesting! Please leave feedback. Thanks for playing! This is a CC1 set, not a CC2 set. I began building it almost immediately after releasing C1059-1. Currently, it has about 40 levels. I hope to release it when I have 50. The set will be solvable in Lynx and MS, but not in pedantic Lynx. I have no immediate plans to make it work for the Steam ruleset, but it may come eventually. I am currently searching for playtesters for the set. If you would be interested, please send me a PM. Thanks!